First Youth at BRIDGES Conferences! 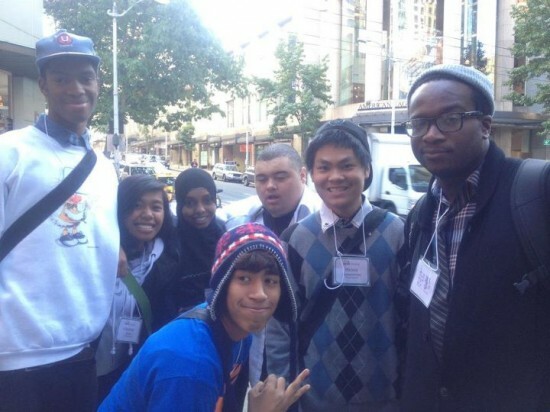 Last Tuesday, tSB was honored to be the first-ever group of youth to attend the 9th BRIDGES conference at the Sheraton hotel in Downtown Seattle. BRIDGES is an annual meeting of educators and youth workers who are committed to creating a society that values youth and allows them to grow into all they can be. For the past 8 years, this was an adult-only event, but this year, tSB was selected to take part in the bigger discussion, learn about undoing institutional racism, and bridging the gap between in-school and out-of-school program. Carlos leads the group discussion! “The afternoon discussion that happened after lunch that was based on race, ethnicity, and nationality. It was interesting to experience everyone’s reactions to the different activities we participated in including my own. 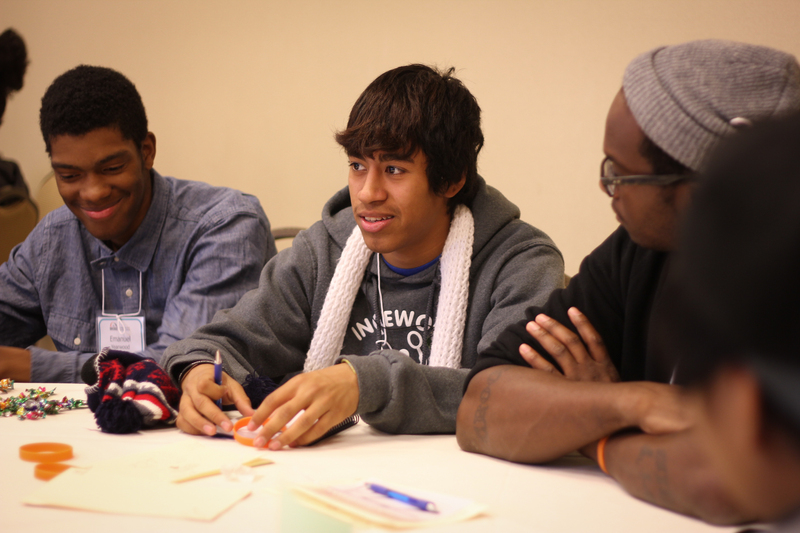 Many people learned new perspectives on things and some of them intrigued me,” said tSB youth LaQuan Andereson. It was a radical experience and thanks to the people at BRIDGES for inviting us! Here’s a clip of Amina’s group response to the following question: What would you say to someone who says that racism is a thing of the past and no longer exists in 21st century America?